Simplyhealth Professionals is about to start a series of in front seminars across England, Wales, and Scotland to highlight the current concerns amongst dentists working in the NHS and how they can plan for their future. Participants will debate NHS contract issues, dental provision, and the key issues affecting dentists working either in NHS or mixed practices. The seminars have been created to help dentists learn more about NHS dental provision in Scotland, or NHS contract changes in the UK, hear the latest expert insights, and receive advice on what options they have for the future. They will take place throughout Scotland, England and Wales throughout May, June and July. 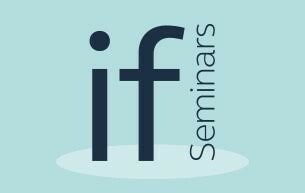 The first seminar will take place on Tuesday 6 June in Newcastle from 6.00pm to 9.00pm and will include evening drinks and a buffet. All of the events are free and dentists who attend will earn 2 hours of CPD. To reserve a place: www. denplan.co.uk/nhs-seminars or call 01962 828 026. Another New Year rolls towards us with still nothing particularly concrete planned regarding the new new new NHS Dental Contract. Ok, so there are prototypes running, but there doesn't seem to be any actual date that will see the beginning of a brave new world where all things NHS Dentistry will be rosy once again. Prototypes seems to be the new buzz word rather than pilots, but unlike a pilot flying a new course, a prototype seems to be something cobbled together that might just possibly fly, but then again might not. The British are pioneers at making prototypes actually fly, but usually in the aeronautical sense. For this to happen it involves a degree of advance planning on the drawing boards, before making models, testing them in a wind tunnel, before finally making a version that might actually fly. There are some occasions where a test pilot has taken the front seat in a prototype only to have met a swift end when something has not quite been right with the design. At least the engineers then can go back to the drawing board and hopefully redesign a problem out of the next version. But this is where the analogy with the NHS prototypes ends. Instead of learning from the mistakes and problems with the prototypes and design out the problem, the DoH apparently just ignore the data they don't like and carry on with the data they do like. All still fuelled by the ubiquitous UDA. Going back to the analogy, this would be like the designing a solar powered plane expected to fly at 600mph where the wings fall off at 500mph and you can only fly it at night. But since it looks really really good and the Government like it, you can get loads of people on board, so they'll order them. Anyhow, if it crashes, the Government will always blame pilot error. People working in the prototypes seem to have varying experiences; those in the blend A models (having a capitation for all band 1 treatments and claiming band 2 and 3's) are reporting more issues than those in the Blend B (Both band 1 and 2 as capitation and band 3 to be claimed). But what is being reported generally is that access is going to go down with these new ways of working, whilst it is increasing difficult to keep the capitation numbers to target. Access is the only mantra the DoH have, and whilst they pay lip service to quality outcomes, you can rest assured that the only bit of quality they will be interested in will be how much they can claw back when the quality outcomes can't be met. Some of those in the prototypes don't even know how the quality aspect is being calculated as there don't seem to be figure made available (particularly to associates). Given that this is 10% of the contract value, not having the information on what you are being measured on seems to be a significant problem to me. Having an entirely capitation based system (which will be what the BDA will try for) is better for practitioners ONLY when you have a government that isn't obsessed with output and not interested in the actual quality. By expecting the practitioners to provide the quality as part of their obligations ethically to their patients, and regulated by the GDC, the DoH can quite happily still place the blame at the door of the individual performers on any contract. Its win-win for them still. Anyone who thinks any new contract will be a dental utopia should probably consider leaving the profession now. Almost all commentators say that there is already little enough time to provide the output expected to meet UDA targets; the new system seems even more geared to allowing practices to struggle to hit the new targets. Even successful prototype practices are struggling with the capitation element, as they need many ore new patients to ensure the targets are boing met, but with no space to treat these often high needs patients until 2 or more months down the line, one must wonder how these increase targets are going to benefit good patient care in the brave new world. Here is now data that shows the amount of principals in practice is reducing, with the increase in associates being proportional to that. However the change is quite extreme, with something like 83% of dentists now working as associates. This will be the norm in the future in my opinion, as with a downward pressure on the income of dentists generally it will become more and more difficult for associates to begin to invest in a practice of their own. I can see parallels with the optical and legal industries here, and incomes of £30,000 for associates becoming routine. Not only that, with the change in the way the new contract may be calculated, and the 'UBER' ruling recently about when self employed might not actually be self employed, then I can foresee a time in the near future when associates become true employees, with the associated increase in liability the employer then has (national insurances, sick pay etc) to cover reducing the wage structure still further. I am also aware of practices who have had to make members of the team redundant, such as therapists as they cannot make the system work for them due to the economics and logistics that seem to be inherent. Still, that's not going to be the DoH's fault is it? Just the dentists who don't run their practice the way the DoH want them to. Don't get me wrong though; there will still be some highly entrepreneurial dentists out there who will continue to make a very good income from the NHS, but they will be at the head of larger practices or mini-corporates, and backed either by the fortunes made in this system, family money, or outside investors who can see the business model working. There is nothing actually wrong with this either, because fundamentally dentistry is going to be a service industry in the same way as a mobile phone company is, and you don't see all the employees in that industry getting the same salary as the chief executive. It becomes almost irrelevant that many of the 'fee earners' in dentistry are highly educated individuals supported by a well trained team; dentistry is just another 'widget' producing industry for investors to make a profit out of at some point. One of the reasons that the profitability of corporate practices has been lower has to be due to the income proportions taken by associates. I have no issue personally with what associates earn, but the days of 50% are long gone in this new world, and probably 35% is more realistic for the future. Many law firms expect their fee earners to generate at least 3 to 4 times their salary in order to justify their continued employment. Only in this way will the corporates become as profitable as they need to be to survive long term, and they know this. Coupled with an increased difficulty in earning the udas if the new contract is like the prototypes, with quality frameworks and increased access, then a downward pressure on the highest cost base that can be influenced is certain. In any dental business of a certain size with associates, then I would be pretty sure that the highest 2 costs will be associate wages and staff wages. Only by controlling this aspect, and in an even harsher manner than previously, will the profitability that is needed for continued business survival start to be produced. How fast this will then follow in the smaller practices which have proportionally higher cost bases due to the lack of bulk buying powers is an academic argument. To finally top this, the BDA released a press release in the last week indicating just how poor the morale is within the profession. Although this has been known by the profession since at least the time Sheffield United last won a football trophy, they have now decided to let the public know the blindingly obvious. Once again the BDA's public condemnation of a system has been about as vocal as a mute mouse with a sore throat. It should be front page news that half of the UK's NHS dentists are thinking of leaving the NHS, but I haven't seen it in the papers today, but if it does appear it will be spun against us. I was informed (as I was writing this piece) that the BDA are now threatening legal action against NHS England for the patient charge revenue deductions made due to their interpretation of the 2 month rule. But will they get the spin right when they tell the public? Or will the Daily Mail run the 'Greedy Dentists Sue Cash Strapped NHS for more money' headlines because we haven't got a good PR image? At least the BDA are starting to do something positive, but the message has to be managed to our benefit. So it remains to actually be seen just what might happen in the brave new world of NHS dentistry. Is morale going to improve, or will the DoH continue the beating of the profession until it does? Will there be more time for the quality that our profession is expected to provide? Will there be the correct funding for a First World service? 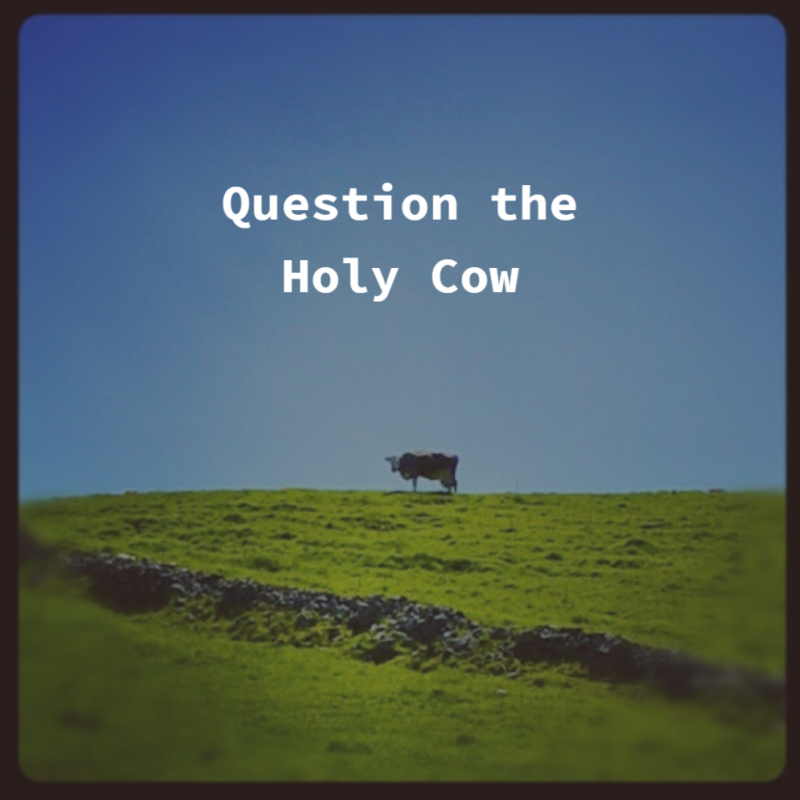 Sadly, I think we all know the answers to those questions if we are honest with ourselves. The NHS campaign was featured across the dental trade press in 2016, as well as featuring prominently on GDPUK.com. 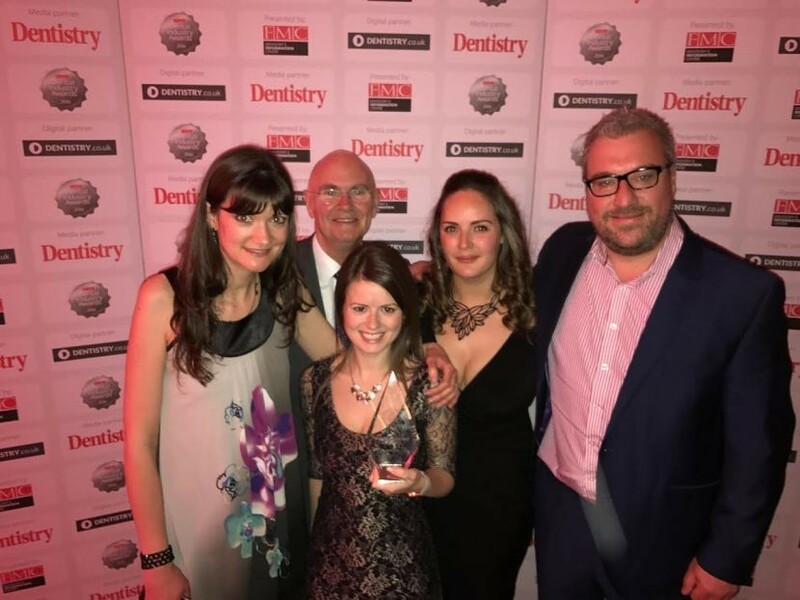 The award ceremony took place at lunchtime on Friday 18 November at The Royal Garden Hotel in Kensington and was a well-dressed event attended by many of the dental industry’s leading names. The judging panel was led by renowned dentist Dr David Houston and over 20 of the dental industry’s most experienced professionals. The Dental Industry Awards were created in 2015 to acknowledge excellence in the UK dental industry and to reward progress, effort and enterprise across a number of different categories from marketing and PR, social media, events, teams and customer service. The ‘Marketing Campaign of the Year’ award category was created for the company or brand who were judged to have used the most effective mix of marketing in its promotional work over the last year. Denplan were up against stiff competition in their award category from Implantium, Leca Dental Laboratory, Oasis and Stockdale Martin. · Hygiene Plan: A dental payment plan without dental insurance for all types of practice from NHS, mixed and private to support patients commit to a consistent hygiene programme. Denplan also provides a range of professional services for its member dentists and their practice teams, including the Denplan Quality Programme, Denplan Excel Accreditation Programme and Denplan Training. Plus regulatory advice, business and marketing consultancy services and networking opportunities. The Chief Dental Officer for NHS England recently found herself at the forefront of dental media storm. Playfully referred to as “Recallgate” her reported comments drew widespread criticism across a range of the profession’s leading Clinicians, and a lame response through her PR Outlet, Dentistry Online. All this arose from her presence at the NHS Expo on a stage with some leading colleagues of the Medical and allied professions for a question and answer session. Health and Care Innovation Expo 2016 is a unique event that showcases innovation and celebrates the people who are changing the NHS, with high-profile speakers and a real focus on learning and sharing. The NHS you’ll see at Expo on 7 and 8 September is a forward-thinking organisation, staffed by clinicians and managers who welcome innovations in technology and information because they recognise the difference this will make to their patients’ lives. Expo also welcomes and involves partners from across the public, voluntary and commercial sectors, recognising and promoting the role they play in keeping people and communities healthy. So when the opportunity for Dr Hurley to speak, she chose to focus on one of the most exciting developments in dentistry. What she said of course was hardly earth moving. Ration the availability of NHS dentistry for the healthy in order to create space in the system for those who are not healthy and have higher needs. This is hardly big news, is certainly not innovative, and of course was not presented as rationing by the back door. Instead it was reminder of the NIHCE Guidelines and an opportunity for some predictable side swiping at dentist. Thanks Mr Lilley, if your understanding in depth of dentistry reflects your understanding of medicine, the NHS is safe in your hands. Oh, you are not a manager anymore? You may follow Mr Lilley on Twitter at https://twitter.com/RoyLilley and contact him direct at @RoyLilley. Judging by his response to the leading BDA member Dr Eddie Crouch taking him to take, he only has a sense of humour on a public stage. Judging by his activity, he has given up NHS Management in favour of tweeting … 83,300 in 7½ years and counting!! Dr Hurley had half a chance to really put out there what dentistry as a microbusiness, brimming with technology, can achieve for people. She could have even homed in on the Infant Caries crisis and its attendant GA costs. But no… she chose …. RECALLS!! The media just loved her use of the MOT analogy and the Car Mechanic. If that is the case, I presume that Dr Hurley sees herself as in charge of Service Reception. On a quiet news day, just feed the hacks a dental story. Works every time! While smoking is on the decrease, and lifestyle amongst the healthy is improving, there is a section of the population who do not see a dentist and for whom Oral Cancer is a rising trend. If you are going to keep your teeth for 80+ years of adult life, getting the health of the mouth optimal and the habits established when young are critical. What opportunity did we miss? No mention of the investment dentist as business owners make in their facilities – no government subsidy there, and by and large no financial crisis inflated by excessive management layers. No mention of the amazing results being offered to rehabilitate oral function using all-on-4 and all-on-6 techniques. No mention of the amazing dental implant industry. Not a Government subsidy in sight. No mention of the predictability of endodontics and periodontics being driven by technology of instrumentation and scientific understanding of the biology, and the ever stronger links to general health. Little Government input there. No mention of the aesthetic desire of the wider public now being met by a host of non-invasive whitening systems allied to orthodontics. No Government funding there. No mention of the unsung achievement of orthodontics in lifting the psychologic wellbeing of younger patients by creating the smile that allows a young person the mature into a confident go getting adult. OK some Government input here. No mention of the parafunctional diagnosis meaning that dentist can frequently solve chronic pain issues long before the team of neurologists, physicians and chronic pain clinics with their MRI scans and raft of blood tests fail to diagnose and simply write the patient off to a lifetime of expensive medication. No mention of the almost eliminated need to use mercury containing restorative materials nowadays. No mention of the fact that Caries is preventable, and excessive sugar for infants is akin to smoking.f course no mention of all of this occurring painfree on nervous patients in one of the most difficult to access, most biologically hostile parts of the body. Diistinct lack of real funding here. No, our CDO in her massive role on that stage at NHS Expo chose to ramble on about a 2-year recall. We may think Mr Lilley is a “bit of a plonker Rodney” but dentistry needs someone like him. Dentistry needs a cheerleader to shout our achievements from the roof top, and remind people that nearly all of them are self-funded by dentists and not subsidised by the government at all. 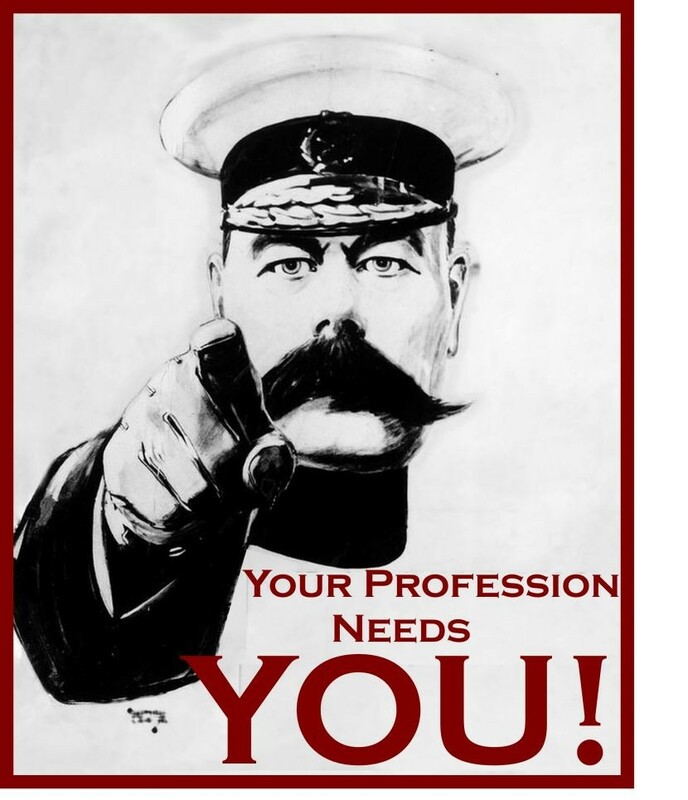 I wonder if there is someone out there , possibly many of you, who could cheerlead our profession? Someone who, like Mr Roy Lilley, is so noisy, so irritating as to be impossible to ignore? So it’s down to you. Will YOU be the professions cheereleader? Have YOU done your bit to cheerlead for our proud profession today? If not, crack on. Our younger colleagues will depend on it in the future. Since the recall speech last week ["recallgate"], the profession has realised who&apos;s side she is on, who pays the salary and benefits of the CDO. Now is the perfect time to take part in the NHS Confidence Monitor, organised by Practice Plan, offering all dental professionals the opportunity to communicate their views on the future of NHS dentistry. Have you ever wondered what effect your responses to the survey may have on the future of dentistry? The truth is that the significance of having your say has never been plainer, with the GDC now taking notice of respondents’ confidence levels in NHS dentistry. With this kind of proactive response from such a powerful governing body, it is more important than ever before that all dental team members – irrespective of whether they work in the NHS or private sector – have their say. To take part in the latest NHS Confidence Monitor and share your thoughts, please visit https://www.surveymonkey.com/r/PracticePlanNHSConfidenceMonitor4 before the closing date of 31st July 2016. The survey should take approximately three minutes of your time. For detailed results from the last three surveys, visit www.nhsdentistryinsights.co.uk. Here you can also access the discussions from our previous Insights Panel, made up of key opinion leaders and experts from the dental profession who explore and debate the significance of the survey results and their implications for the future of the NHS. * For full details visit http://bit.ly/29be2vS (see page 12, item 62). 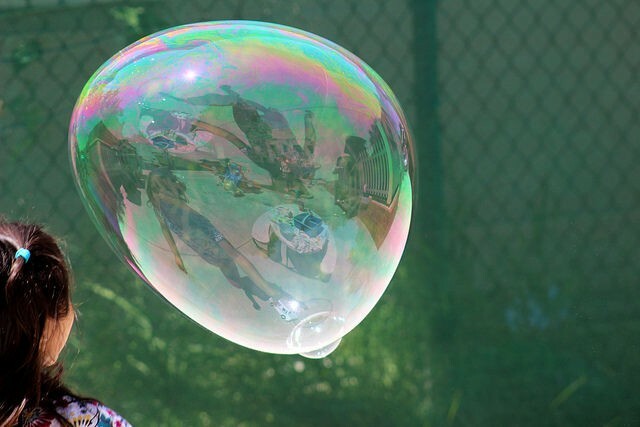 Once upon a time someone started to blow a bubble. So if Pixar did the story of recent Dentistry, here’s the movie storyline. Once upon a time nearly every new dentist went and worked as an associate in General Dental Practice with an NHS contract. Every day, 5 days a week, they worked for 8 hours and had an hour for lunch. Some of them were better than others and some were worse. Some were faster than others and some were slower. The faster they worked the more they earned. Every month encouragement came from the practice owners, “get your backside in the air and get your gross up”. Every dentist in every practice did the same thing - they repaired broken and diseased teeth. Some liked to spend half a day a week making dentures or braces or using a scalpel - but that was just a diversion from drill’n’fill. At the end of the month the owner let the associates keep half of what they had earned. This was often a lot of money for a young, newly qualified person. Their friends from university who had studied medicine, accountancy and the law couldn’t understand how dentists could justify the amounts they earned when they were so young and inexperienced and were envious. Secretly many young (and old) dentists agreed, but they couldn’t bring themselves to suggest a change. These were the golden years, there was lots of disease, plenty of patients and the Prime Minister’s purse was bottomless. In fact there were too many patients so in some places people queued to have their teeth out or tried to do it themselves, or so the TV said. One Day the Prime Minister, Mr Blair, an ex-lawyer, said, “This is not good enough, something must be done”, and he decided that market forces must be applied. But firstly he made the NHS the National Religion and everybody must be an acolyte, for to speak against the NHS was sacrilege. Then he applied the rule of supply and demand, so he opened up lots of new dental schools where intelligent young people could become noviciate monks and nuns of the NHS. Although the words “private” and “dentistry” were considered blasphemy “private” and “university” were compulsory so the novice dentists were made to pay for the privilege of half a decade of confrontation and humiliation. Saint Tony also sent messengers out to all corners of Europe welcoming dentists to England and Wales where the NHS was the envy of the world and the dental streets were paved with gold. Next his Grand Vizier, HenHouse and his Lord High Chancellor, Broon, said that the purse was closed, there would be no more money, each dentist must make do with what they had last year and the year before that. Because of that even the fastest of new dentists were not able to get their backsides in the air and the slow ones earned the same as the fast ones. The practice bosses saw that where there had been queues of patients there were now queues of new dentists who had to repay their loans and were competing to work in the NHS churches. Some of these bosses saw this as an opportunity and competed to see who could pay the least. Some were allowed to keep a quarter or a third of what they earned. In his retirement villa St Laurence de Lando looked down, smiled broadly and said, “I told you so”. Until finally, one day the bubble burst, NHS dentistry was handed over, lock stock and barrel, to Tesco and many churches became empty shells, a testament to a great failed experiment. Image credit - Isabelle Acatauassú Alves Almeida under CC licence - not modified. What about the wicked Witch? What’s in your GDS contract? General dental services (GDS) contracts are lengthy, complicated and dentists are, on the whole, not fully accustomed to the plethora of legal terms that can be found in them – and why should they be? Dentists have undertaken substantial training to care for patients’ teeth and oral health, not digest convoluted legal phrasing and contractual terms. Which is why it is vitally important for any dental practice owner who holds a GDS contract to have a comprehensive understanding of all of the terms to which they have agreed. Thus, it is imperative to take proper legal instruction from a professional who understands the ins and outs of dental contracts – and who can offer relevant advice and ongoing support. With this in mind, let’s discuss some of the more important points that require careful deliberation. Firstly, clause 14 of the GDS contract concerns whether or not the Contractor has elected to be regarded as a health service body. This status determines the processes that will be followed in the event of any contractual dispute, and while this electing to do so will not affect any other aspects of the contract, there are benefits to not doing so. For example, if a Contractor does not elect to be regarded as a health service body, they will be free to choose either the NHS dispute procedure or to proceed through the Courts should any contract disputes arise – giving a Contractor more options in the long term. Another good example of where careful consideration must be taken is in clauses 198-200, which concern the permission of sub-contracting under the GDS contract. 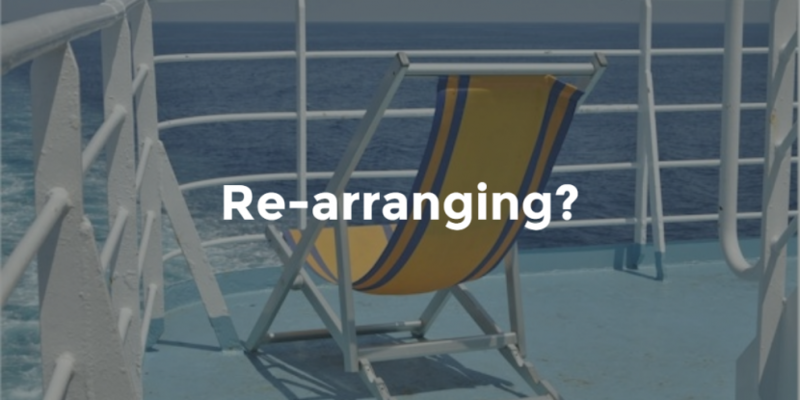 These may be useful if the contract is to remain in the name of the individual holder, but performed by a company – and may be considered an alternative to having the contract vested in the company on incorporation. Notice of this must be served to NHS England in accordance to clause 199 – which states that any required information be supplied as quickly as reasonably practicable. Be aware that NHS England may seek a formal contract variation as a result. Thirdly, clause 339 of the GDS contract states that where a partnership contract reverts to an individual contract, the NHS England has the power to terminate in the event that, in its reasonable opinion, the change is likely to have a serious adverse impact on the ability of the provider to perform its obligations. This could include the fact that there will be fewer performers (e.g. dentists carrying out the units of dental activity (UDAs) following a change from partnership to individual). This is a particularly pertinent consideration should one of your partners be approaching retirement, or if serious illness threatens the current partnership. Either way, a contingency should be arranged with your lawyer to ensure you are fully prepared for any eventuality. There are many more points that need to be addressed before you commit your signature to the contract. 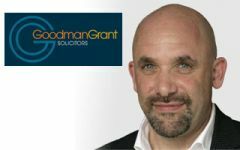 Goodman Grant Solicitors are experienced, dental-specific lawyers that fully understand the minutiae of GDS contracts. Their expert team is prepared to answer questions regarding any of the specific clauses of the contract and can provide a useful checklist to ensure that everything is in order before you sign. Practice Plan presents a round-up of news items published in the general media on dentistry in 2015, offering insight into the public’s perception of both NHS and private dentistry. The dental news year kicked off with many print and online news outlets detailing the results of a Which? report, which found that dentists were not being sufficiently transparent with their treatment fees. What seemed most obvious about the results was that people were confused. For example, 40% said they were not clear about what treatments they were entitled to on the NHS. Building on this, in February The Scotsman, among other media sources, informed us that private dentist charges were akin to a postcode lottery, according to a survey by WhatClinic.com. Putting a positive spin on what was essentially negative PR for private dentists up and down the UK, Emily Ross, director of WhatClinic.com, suggested there were ‘huge savings’ to be made if patients were willing to shop around. Come March, the name Desmond D&apos;Mello hit the headlines, with the BBC reporting that five people treated by the dentist, who was investigated for poor hygiene, had tested positive for hepatitis C. This was the result of the largest ever patient recall in NHS history, involving 22,000 people. As the resulting BDA statement quite rightly indicated: ‘Dentists across the UK are setting high standards, and any exceptions are both regrettable and rare’, but perhaps the damage had already been done in terms of public perception. April saw the publication of the results of a Freedom of Information request made to the NHS Business Services Authority about the pensionable pay of dentists who perform NHS dentistry. The Independent shared with its readers that: ‘The pay of the top five NHS dentists has been revealed to be nearly five times the Prime Minister&apos;s £142,000 pay packet.’ Clearly there is more to this report but, alas, the dental professionals’ side of the story was not shared. May brought with it headlines that everyone scared of the dentist could relate to – a woman apparently used superglue to stick her teeth back in as she was too afraid to make an appointment to have the situation treated appropriately. The Mirror reported that ultimately 11 teeth had to be removed and implants placed. This patient’s story was subsequently covered in June in the BBC documentary, The truth about your teeth. On it, she said: ‘Wonderful, isn’t it? I feel amazing and there are no hands over my mouth or embarrassment and the difference people have said in me, noticed in me, my friends, things like that, they’re just like, oh my God, you’re more outgoing.’ This was a great outcome for the patient but as it was clear that the treatment was provided privately, it left some wondering if NHS dentistry was private dentistry’s poor, frightening relation. Despite this report, on the whole The truth about your teeth presented a relatively positive view of dentistry, including the capability of dentistry to transform lives for the better, as well as the clinical and interpersonal skills of those who performed the treatment shown. Then, on 16 June, The Daily Mail came up with the shocking headline of: ‘How greedy dentists are fleecing families: Investigation reveals that they hide prices, block NHS treatment and needlessly pull out teeth’. Despite this most unfortunate headline firmly placing blame at the dental practice’s door, the article itself did impart some semblance of sense for those who read beyond the attention-grabbing introduction, highlighting the access problem dogging NHS dentistry. This article was followed up the next day in the same newspaper, in the form of an opinion piece written by Sarah Vine, who criticised the NHS system rather than dentists. July saw The Guardian highlighting the suggested link between oral health and systemic diseases such as diabetes, heart disease and cancer. Carrying that all-important message that ‘…twice-daily brushing with a fluoride toothpaste is the best route to healthy teeth and gums, combined with regular trips to the dentist’, this was certainly a positive story for the dental profession and the public alike. Also in August, The Daily Mail and other news outlets picked up on new figures revealing that every week in the UK, 500 children aged between five to nine years old are admitted to hospital as a result of tooth-related problems. The paper also reported that experts considered the problem was likely to get worse, because access to a dentist is a growing problem. It would be remiss to produce an article on dental news in 2015 without touching upon Cecil the lion and US dentist Walter Palmer, since it took up so many column inches over the summer. One man’s pursuit of big game, which had nothing to do with dentistry, suddenly demonised the profession in a most unfair and unfortunate way. September brought headlines concerning an alleged link between going to the dentist and Alzheimer’s. The Daily Mail blamed the connection on contaminated instruments but failed to cover the fact that dental professionals’ employ stringent infection control protocols. The same article also suggested that severe periodontitis can trigger Alzheimer’s. In October, thanks again to The Daily Mail, we met Natalya Rosenschein, who wants to be ‘Britain&apos;s toughest dentist’. With the dental student reported to ‘juggle teeth-pulling with weightlifting’, it was something of a shame that an opportunity had been missed to use more positive language to boost the profession’s hard work both in the surgery and out of it. For dentists looking to the future and trying to decide whether NHS, private or mixed practice holds the key to success for their practice, keeping an eye on public perception can help. Alongside the issues that need be considered to reach an informed conclusion, such as financial viability and strategic direction, there has to be a public desire for what you are planning to offer. 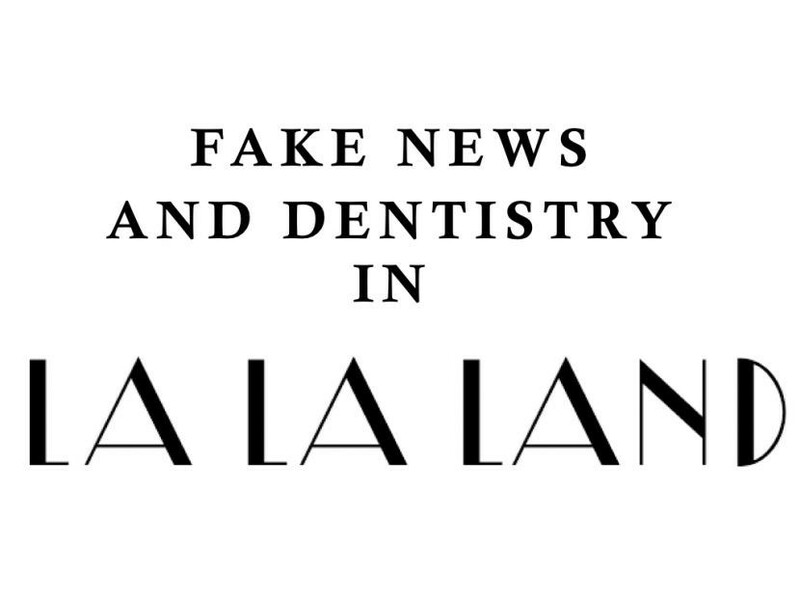 There is no crystal ball that is going to provide dentists with a definitive answer, but with 2015 coming to a close, this year’s news reported in consumer media about dentistry has taught us that despite imparting a considerable amount of negativity – especially if readers don’t get past the mostly sensationalist headlines– dentistry is a topic of interest. It therefore seems that the challenge is to capitalise on this curiosity by considering what this means for your practice’s future. Practice Plan is the UK’s number one provider of practice-branded dental plans. They have been supporting dentists with NHS conversions for more than 20 years, helping them to evaluate their options and, for those who decide to make the change, guiding them through a safe and successful transition to private practice. So, if you’re thinking about your future and would like some expert advice you can trust, then call 01691 684165 or visit www.practiceplan.co.uk/nhs. 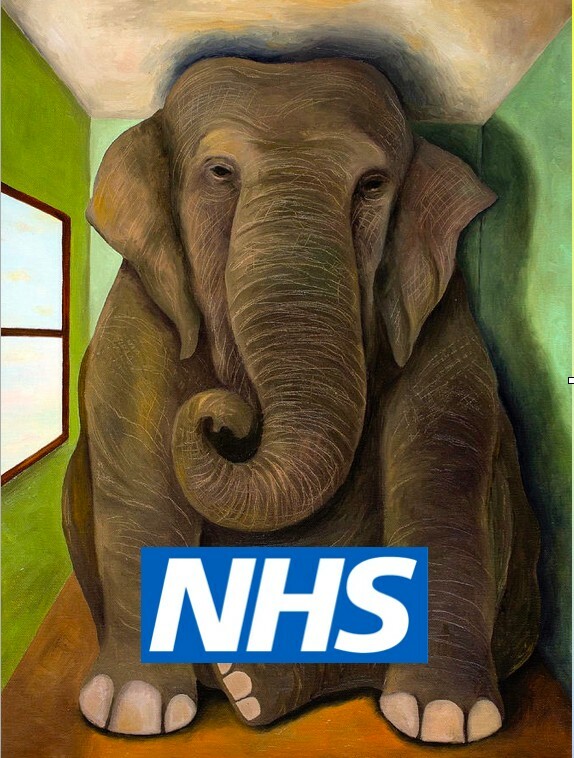 As we all know, a new NHS contract has been mooted for the last three or four years. The major problem that the Government currently appears to be struggling with is that, for all its flaws, the current system very precisely provides control over the spend. So the Government is trying to implement a new contract whilst retaining this same level of control. However, it is very difficult to envisage a system that will allow them to do that and satisfy the dental profession. For the last few years, everything seems to have been focused on reducing spending on NHS dentistry. This can be seen with both GDS and PDS contracts. As the PDS contracts come up for renewal the LATs are taking a much harder stance and reducing values wherever they can. There was a time, a number of years ago, when over 50% of practices had not achieved their UDA target on a regular basis and yet no action had been taken by PCTs to recoup any monies. This was certainly the case for the first five years of the current contract; however, one of the changes we have seen recently is a significantly stronger focus on performance. So that now if a practice does not hit targets, not only will the LAT recoup the money but they will seize every opportunity to reduce the contract value, either by decreasing the number of UDAs or lessening the UDA value. Under any new contract, if there is one, underperformance and failure to achieve KPIs is going to lead to a similar situation. Whilst the latest prototype proposed contains remuneration based on capitation, the number of patients that you have registered, the work performed and some for achieving KPIs, the potential risk for missing these targets is a massive 10%. Nevertheless, a lot of the essential details here remain unknown. In some ways the most concerning part about the change in contract is the notion it might be time limited. This completely fails to recognise the investment that dentists have to put into practices, not only in terms of equipment, but also regarding the time spent building a good dental business. 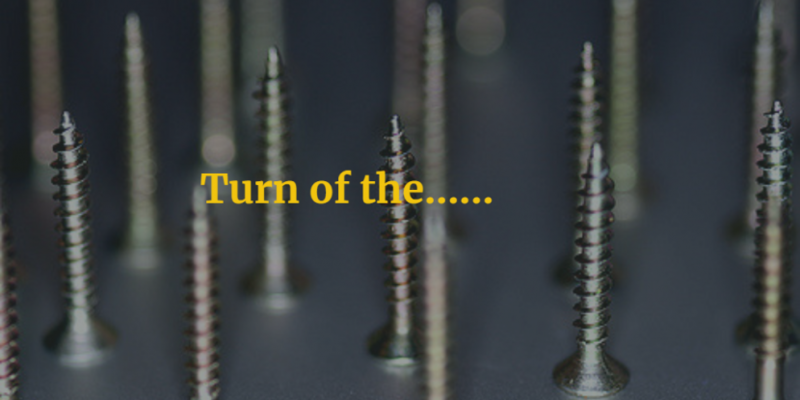 To fit out a dental practice is a very significant cost, and nobody is going to do that if there is a contract that only lasts for five years – over that period one is not going to get back that which one has paid out, never mind actually make any money! It seems, whether stated or unstated, that it is the Government’s clear intention to reduce spending on NHS dentistry. To achieve this, perhaps all they would have to do is introduce time limited contracts and there would be a very large shift away from NHS ownership towards private. And this, in my opinion, is what the Government wants. They need to save money and whilst they talk about the NHS in hallowed terms, I’m not so sure that NHS dentistry is quite so hallowed as the rest of it. To help dentists considering their professional future, Practice Plan has published a new support guide about converting from NHS to private dentistry. Available to download free of charge at nhs.practiceplan.co.uk/guidetoleavingtheNHS, ‘Your guide to leaving the NHS’ contains valuable insights and advice to help you evaluate your options if you are contemplating making the move from NHS to private practice. Highlighting the key areas that need to be considered before making any decision, as well as presenting the answers to many of the frequently asked questions that might be weighing on your mind when contemplating a move to private practice, this is an indispensable guide. Nigel Jones, Practice Plan’s Sales Director, commented: ‘A recent independent survey commissioned by Practice Plan indicated that many dentist are feeling less confident about the future of NHS dentistry, so we’re delighted to offer a new avenue for investigation, to help crystallise what is best for dentists, their teams and patients going forward. ‘Your guide to leaving the NHS’ is part of the specialist and expert support and guidance available from Practice Plan’s NHS Change Support Team. To download your free copy of this invaluable guide, simply visit nhs.practiceplan.co.uk/guidetoleavingtheNHS or to contact a member of the Practice Plan Team please call 01691 684165. Seventy-two per cent of dentists believe that NHS dentistry will not be fit for purpose in 10 years’ time – that’s according to a poll carried out by Practice Plan at the British Dental Conference and Exhibition in Manchester. Adding some fun to election day on 7th May, but asking some serious questions about dentistry and the future of the NHS, the poll also reveals that the majority of dentists (66%) do not think that, going forward, NHS dentistry will be able to provide the right balance of treatment versus prevention. Furthermore, while a third (33%) of dentists thought the Conservatives could be trusted with NHS dentistry, a similar number (29%) felt that none of the political parties could be depended upon with this aspect of state-funded healthcare. With 62% of respondents working in a practice offering either predominantly NHS or mixed treatment, these figures offer significant insight into dentists’ views on the NHS. The poll also revealed that if they were in David Cameron’s shoes, the majority would support NHS dentistry through increased spending, closely followed by wanting to change the current contract. These feelings were further reinforced by respondents’ finding a lack of time and the potential financial repercussions of the UDA banding system the greatest challenges they face in the present climate. In addition, with cosmetic treatment considered by dentists to the biggest influence in dentistry at the moment, expanding beyond NHS care seems a distinct possibility for those who have not already done so. Nigel Jones, Practice Plan’s Sales Director, commented: ‘Since the election, we have struggled to gain any concrete understanding of what the future holds for NHS dentistry since, it is sad to say, David Cameron overlooked its significance in his first post-election speech, which was all about the NHS. Over 130 people completed Practice Plan’s poll at BDA. The aim of the poll was to provide a snapshot of perceptions about the future of dentistry alongside the general election. Denplan has released its latest research (commissioned through Facts International), based on a survey asking NHS dentists* for their views on a variety of issues related to NHS dentistry. The survey examined their opinions about the current contract as well as their knowledge of the pilots and prototypes. Other key issues the NHS dentists were asked about included their confidence around NHS funding commitments filtering through to primary care dentistry, motivation levels for making changes to their practice situation and the impact of the Friends and Family Test. 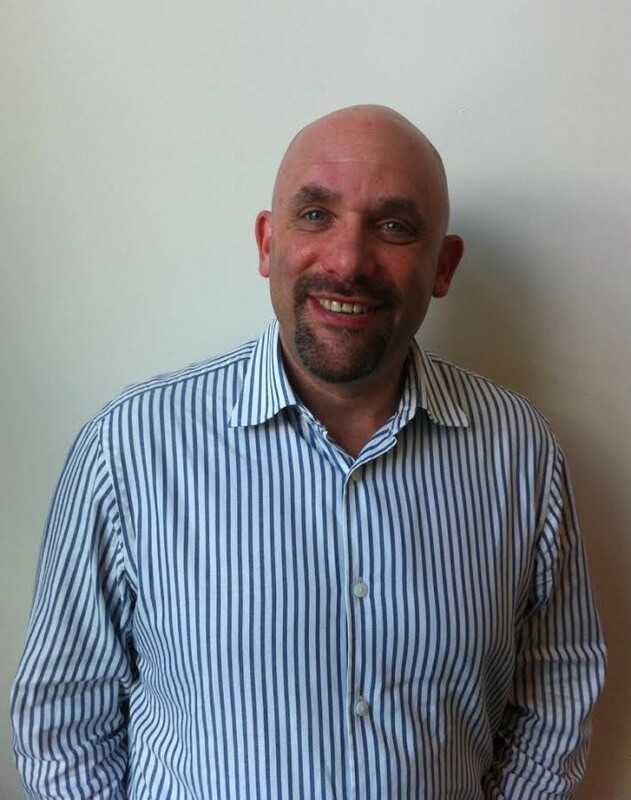 Roger Matthews, Chief Dental Officer at Denplan commented: “It is apparent from these survey results that many NHS dentists continue to feel disillusioned and frustrated with the lack of clear direction around the NHS contract changes. There also appears to be a general lack of understanding in relation to the pilots and prototype models. With the realisation that the NHS funding situation for primary care dentistry does not look likely to improve, it is unsurprising that many NHS dentists may be feeling uncertain as to the future viability of their practice if they stay with the NHS. The result is that a significant proportion of NHS dentists are considering a change to the way they manage and fund their practice in the foreseeable future. Denplan is running a series of seminars throughout June, entitled “Your practice, Your Choices” which will examine the upcoming changes to NHS contracts for dentists, how dentists might be affected and help them understand what actions they need to be considering now. For further information and to book a place practices can visit: www.denplan.co.uk/events-and-training/your-practice-your-choices or call 0800 169 5697. *100 dentists responded to an online survey in April and May 2015, with all respondents holding an NHS contract in England, treating over 70% of their patient base as NHS patients. They were not part of a corporate body or a member of a payment plan provider. As of writing, there are about 30 odd days to go to the UK General Election  and politics may have changed for ever. The 2-party system may well be broken. It seems likely that the smaller parties will have a relatively huge amount of influence over the eventual policies of the Government that emerges. If Proportional Representation had no role to play in “First Past The Post”, it perhaps does under a mixed multi-party system of coalition where FPTP does not produce a clear Government. A clear outcome is … well, far from clear. I sense a theme I might return to. Until then of course, we are in the frenetic work up to Election Day across the UK, allied to significant numbers of local elections are due to take place on 7th May. Parliament dissolved of course at the end of March. The Health Select Committee report of the GDC Accountability Hearing will now have to be signed off under the new Government. Wouldn’t you just love to know what’s in the draft that no doubt sits in a pending tray somewhere? You can never get a decent leak when you want one! For those of you with short memories in Wimpole Street, it was clear the HSC were collectively unimpressed with the performance of certain executives. Many Dentists and Dental Professionals play their part in local communities and will have local or national agendas of their own. To all of you, the very best of luck. It’s a busy time. Stay focussed and may the votes go your way. Indeed in the GDPUK forum we have our very own blogger Dr Pramod Subbaraman  who is a parliamentary candidate for the Liberal Democrat party in Edinburgh South. Scotland of course are still vibrant in their political engagement after the 2014 independence referendum. Sir, we wish you well. Ironically, if present polls are to be believed, the Independence agenda re-emerge after the election because of the influence of an enlarged Scottish National Party in the House of Commons. More wet fingered dentists in top level politics is a positive process – it can only help the cause of the nation’s Oral health and ensure that the dental and oral health inequalities rise up the political agenda. There is a sense of “Rome burning” about the facts on the ground of GA Admissions for children for surgical dentistry  while the Department of Health and its mouthpieces at NHS England assure one and all that the system of UDA related access has clearly been a big success, broadly speaking. I really must get a new pair of hindsight-o-scopes. But imagine you are standing around one day in your local market place and the candidates for your local seat are canvassing your support. You were planning to “do you bit for the profession” and therefore plan to ask one question. What would swing it for you if a candidate were to ask you for their vote? Let me take you back to a previous blog in which I raised a “Trumpet Call for Clarity of the Deal”. In it I suggested the GDC might take this role on and demand clear rules on what dental care is available under the NHS. For those who are interested, I did write to the Chairman of the GDC and he delegated his reply that “It was not their job”. Too busy counting the FtP hearings, I suspect! The consumer organisation Which? and the Office of Fair Trading  tear their hair out over the constant complaint that patients never know what’s available under the NHS and what’s not . Report after report is critical – and yet – this strange fudge is NOT of the dentists’ making. We did not choose this system or the lack of clarity. The DH chose this. It is the Department of Health who seem content to see dentists accused of misleading patients. What could their motive possibly be? Surely not to deflect eyes and attention away from the other concerns over Government funding and management of oral health? It is patently wrong that every individual dentist should decide what constitutes ‘need’ on a one by one process with every single patient. How can anyone with half a political brain even remotely justify it? The new Prototype Contracts are being rolled out at “Pilot” level and still there is no clarity. The now retired CDO was on record as saying it was not required as part of the new contracts. We can but hope that the new incumbent will see sense and change this unsustainable approach. The future of dental practice in this country will depend on the success of mixed practice. The ability to fund privately some dental care alongside an NHS funded element is critical to the small business that is dentistry. Multiple strings of income may well be the ONLY reason that many practices will continue to subsidise the State offering for the benefit of their patients. But there have to be clear rules. At the moment there are NO rules. In fact it is so ridiculous at the moment that the rules appear to be written only when the patient complains. At that point the GDC seem to think that investing in your London Day Care might be a jolly good use of funds. The patient has a right to know where the boundaries lie. All patients should be able to share an experience of the same rules being applied. The dentists need to know where the boundaries lie. Otherwise there is a great risk that the GDC call you to order at an FtP hearing should the patient complain that you applied too harsh a judgement of NHS “need”. Our politicians need to look at dentistry through the patients eye’s, not through the upturned bottle lens that the Department of Health use. At present 22000 dentists apply different rules across 20 patients per day – because that is what the DH require. 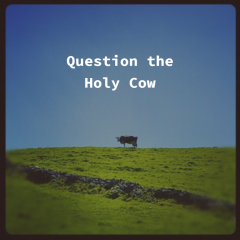 Ask them: Will you put a stop to the confusion? 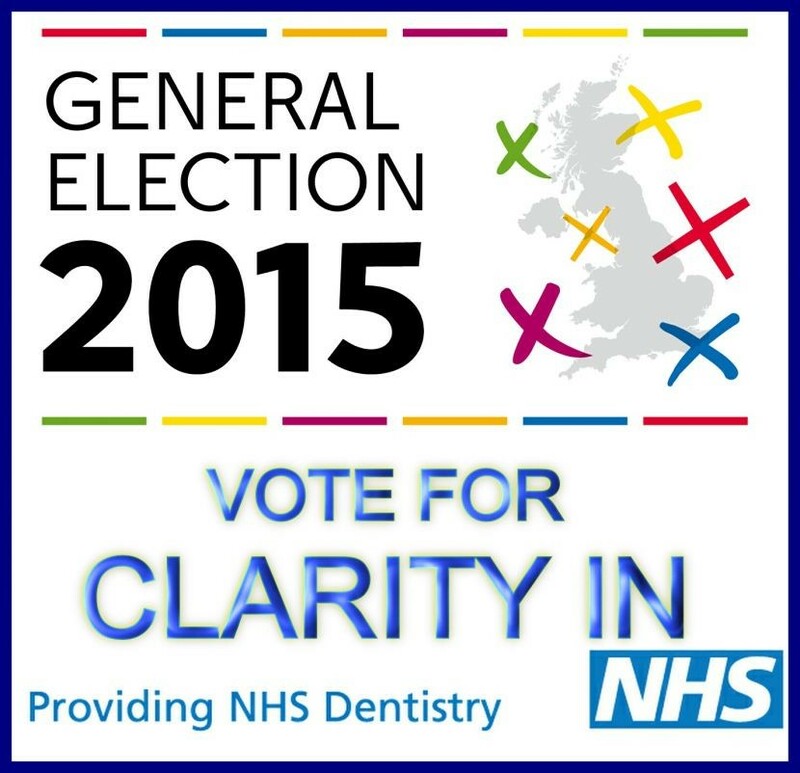 Will you provide absolute clarity on what the patient can expect under NHS dental care? “Now, will you be voting Mrs Goggins, open wide, there’s lovely, bring the next one up Nurse …! Makes a change from talking about the weather and holiday plans. May your Easter break be relaxing and Spring like. The onslaught has yet to come!! Toothpick, the UK’s leading provider of secure online appointment booking, is proud to announce a new functionality that is set to revolutionise the way patients book their appointment on NHS Choices. Welcome back from the long weekend. Sunshine does starnge things to people and so this little gem could well be evidence of sun spot activity on Government activity!